Home Blog Are you entitled to workplace bullying compensation? In the event that you’re not able to continue working because the impact of the bullying is so serious that it is considered to have caused a permanent impairment, you may be eligible for a lump sum bullying compensation payment. For this, a medical assessor needs to confirm that you have a permanent primary psychological injury with at least 15 per cent ‘whole person impairment’. The idea behind a ‘whole person impairment’ assessment is that the amount of compensation payable needs to be worked out in a way that is consistent and fair, taking into account the extent to which your injury affects your life. It’s important to note that if you succeed in obtaining a lump sum payment for permanent impairment, any weekly workers’ compensation payments you may have been receiving will come to an end. In some circumstances, you may have the option of making a claim for work injury damages. This is to cover past and future economic loss. Again, a 15 per cent ‘whole person impairment’ is a prerequisite for this type of claim, and it’s necessary to establish that your condition is a result of your employer’s negligence. If you’re contemplating making a claim for damages against your employer or a third party such as an independent contractor, an experienced lawyer can give your claim the best chance of success and negotiate effectively with the insurer’s legal representative; final settlements of over $400,000 are not unknown. However, in some cases even higher amounts may be appropriate. For example, recent compensation paid for workplace bullying at a NSW government agency saw a woman receive over $1 million. Finally, the Fair Work Commission (FWC) has a role to play in stopping bullying at work. Bullied workers can make an application to the FWC for an order to stop the bullying. Depending on the situation, the FWC may try to help resolve the issues without a formal hearing. However, if the issues can’t be resolved, then the FWC may make an order requiring the people involved to stop the bullying. It’s important to note that the FWC doesn’t have the power to order workplace bullying compensation payouts. If you’ve been bullied at work, there are experienced lawyers who can help you stop the bullying and receive compensation you deserve. 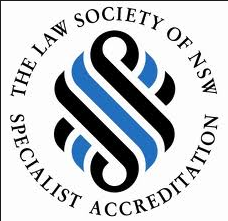 Speak to our friendly team at NSW Compensation Lawyers to get the right advice. Call us now on 02 9601 0088.